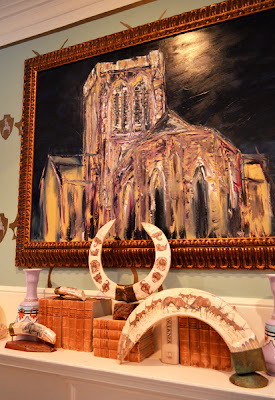 I met Summer Loftin two years ago when she was one of the few designers of the Inspiration House, part of The Cathedral Antiques Show at The Cathedral of St. Philip. We were introduced by a mutual friend, I fell in love with her work, and she and I have been buddies ever since. 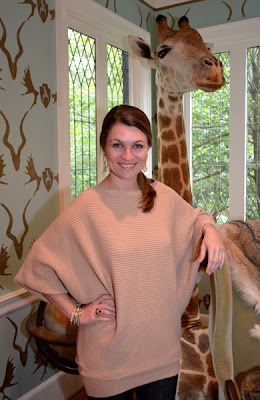 You might ask, "Why are you writing about an interior designer on a tourist blog?" Well, this post is about Summer's room in the Inspiration House—certainly a tourist destination—and also because Atlanta has for many years been at the top of relocation destination lists, so this gives me the opportunity to showcase the phenomenal talent of one of our local interior designers. I'll share more about the rest of the Inspiration House in a future post. I think you'll be extremely impressed with the quality of work and beauty throughout the House. Summer was wonderfully gracious to grant me an interview, so you get to hear from Summer herself...not just hear what I thought about the Inspiration House. Bonus! But, before I get to the questions, just let me say—and I say this buddy or not—Summer's room is the interpretation of a trophy room that should earn her a World Cup trophy in interior design! I absolutely loved it! The transformed room is technically the "Virginia & Harry Dobbs Library." Should one enter the house from the front, Summer's room is at the back of the house on the left. However, visitors during the Show were entering from the 'original' front of the House (today, the 'new' front faces Andrews Drive). 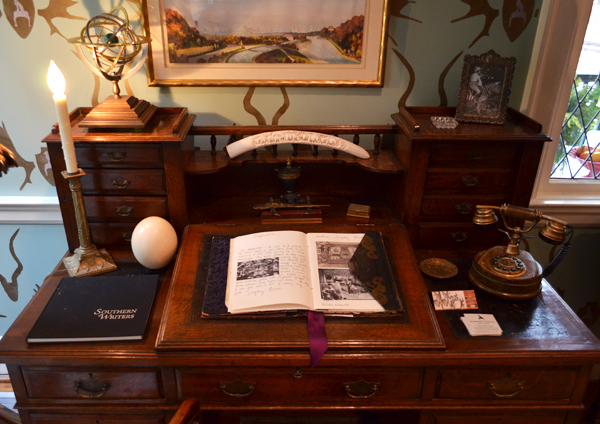 The House has a very interesting history. I encourage you history buffs to research its story. Search for: The Andrews-Dunn House, circa 1910, additions 1928-1929. The Room transported you to another time, another place. You certainly didn't feel like you were in Atlanta, but instead in the comfort of a hunter's lodge or a parlor in a grand mansion where gentlemen would retire to converse about the day's hunt, while enjoying a cigar and a soothing glass of scotch. The gorgeous leather sofa, showing signs of many years of hunts and safaris regaled, is one of the most beautifully handsome I have ever seen. And then there's Summer's idea book...a foretelling of the collection that would make anyone who has ever been on Safari quite envious. And, just for the record, I could write a book about everything going on in this room! Summer shared exciting and enthusiastic stories about the various pieces in the room and the designing process, a process she started immediately after last year's Inspiration House was complete. I asked Summer what about putting the room together was the most fun. 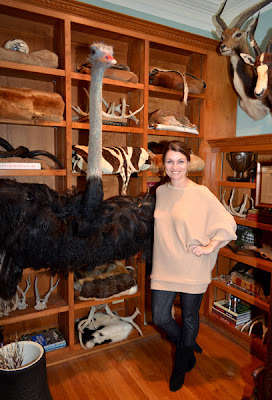 She said, "The most fun I had was selecting the trophies with Vonda Mills of VonRob Exotics. Vonda has been dealing in taxidermy for more than 16 years and has recently relocated to the Atlanta area. 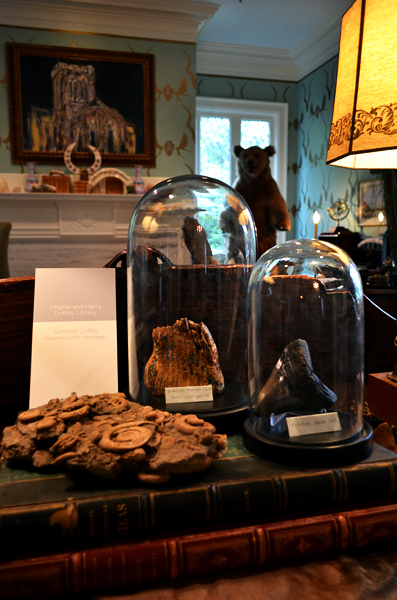 She is an absolute joy to work with and her depth of inventory made it fun and easy to select rare and unusual pieces for the room." When posed with the question that asked what was the most difficult aspect of creating the trophy room, Summer replied, "The most challenging part of the room design was the custom wall stencil. I wanted to use a stencil as an inspirational 'throwback' to Victorian times. Using the leaded windows as inspiration, I thought the pattern of the stencil should follow a diamond pattern, but maintain a very primitive stylistic quality. 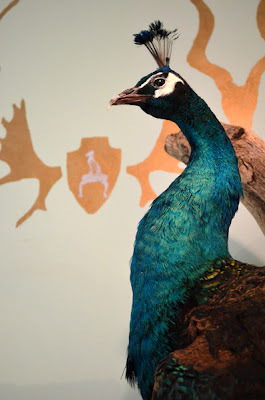 I was very happy with the end result and enjoyed being able to work my logo into the wall treatment." And the room is not without its feminine touches. 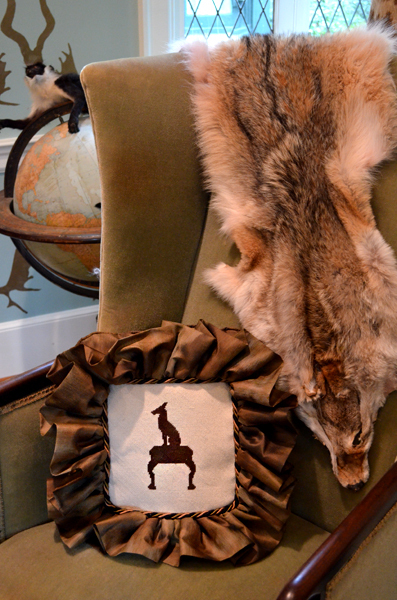 A ruffle-edged, needlepoint pillow, featuring a dog on a stool—Summer's logo—graces a fur draped chair, adding a touch of inviting comfort. Actually, I personally found the entire room comfortable. I could have crawled up into that chair, or especially the sofa, and made myself at home. But alas, I was among other tourists. 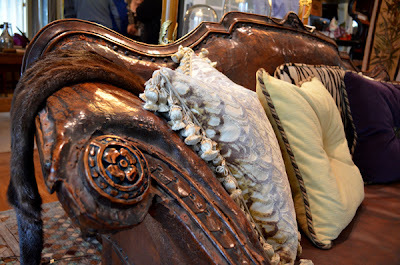 "I was very excited about incorporating 'Velvet Feathers' and 'Highlands,' both Jim Thompson fabrics, into the room. They played so well with the Trophy Room theme and the sepia tones were a perfect complement to the worn leathers and wall color," said Summer. "My favorite things in the room are a ruffled pillow with a custom needlepoint of my logo—the needlepoint by Penelope Malone—and also the commissioned painting of St. Philips Cathedral, painted by Richard McKey for the room," Summer continued. "The Cathedral has served as a beacon of the community for many years and thus the painting is of the Cathedral shining in the night sky." 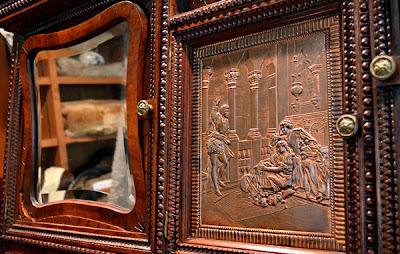 What looks like a wardrobe is actually a 19th-century Murphy bed, and an incredibly ornate one at that. It's one of the most beautifully carved pieces of furniture that I personally have seen in quite a long time. The revolving mirrors are especially clever. 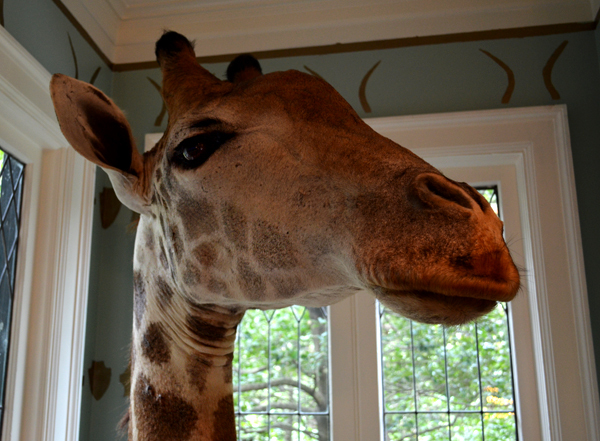 So...there's an all-too-brief overview of Summer's trophy room. If you find that you're looking to move to Atlanta, rest assure that there are phenomenal interior designers in our fair city. And if you've never been to the Inspiration House, part of the annual Cathedral Antiques Show, make sure you go see it next year. I believe it's always in January. It's a fun thing to do during the colder months in Atlanta. And be sure to pop in to see the Antique Show itself, inside the Cathedral. I loved Summer's room also. There was something interesting at every glance. One of my absolute favorites in the house! Interesting, beautiful and so well done! !